The government is forcing Eritreans and Sudanese asylum-seekers to accept relocation to countries in Africa or face imprisonment. A number of pilots from Israel’s flag carrier El Al have made public declarations on their social media accounts outlining their position. “I have joined many of my good friends, in declaring that I will not fly refugees to their deaths. I won’t take part in that barbarism,” El Al pilot Iddo Elad wrote on his Facebook page. Other pilots stated that the nation must remember its history and the horror experienced by Jewish people during the Holocaust. “Out of all people we, the Jews, must be attentive, empathetic, moral, and leaders of public opinion in the world in how we treat the migration of refugees, who have suffered and continue to suffer in their countries of origin,” Captain Yoel Piterbarg wrote, as cited by Israel-based online magazine +972. More than 8,000 people have signed a petition urging pilots and ground crews at Ben Gurion Airport to not cooperate with the government’s deportation flights of asylum seekers. Organisers say this could make a huge difference, citing German pilots’ successful block of over 200 deportations by arguing flight safety could be compromised if someone says they do not want to take the flight. The move is mostly symbolic however, according to the Times of Israel, as El Al does not fly directly to Rwanda or Uganda, and deported migrants usually fly on other airlines through Ethiopia or Jordan. The stark deportation or incarceration policy has sparked outrage among human rights groups, holocaust survivors, academics and rabbis. Hundreds of Israeli rabbis have pledged to hide African asylum seekers in their homes as part of the Anne Frank Home Sanctuary Movement founded by Rabbi Susan Silverman, sister of comedian Sarah Silverman. Israeli human rights organization Rabbis for Human Rights will oversee the initiative. Holocaust survivors have also vowed to harbor asylum seekers, reported The Times of Israel. The UN refugee agency is urging the government to end the immigration policy, which has been in place since 2016, but has not been generally applied. “Due to the secrecy surrounding this policy and the lack of transparency concerning its implementation, it has been very difficult for UNHCR to follow up and systematically monitor the situation of people relocated to these African countries,” the organization said in a statement last November. Since Israel took over refugee status determination from UNHCR in 2009, only eight Eritreans and two Sudanese have been recognized as refugees by the authorities, according to the UNHCR. “We have expelled about 20,000 and now the mission is to get the rest out,” Prime Minister Benjamin Netanyahu declared at the beginning of January. Some 60,000 Africans, mostly from Eritrea and Sudan, entered Israel before it erected a fence along its border with Egypt in 2013. Since May 2015, Israel has offered migrants $3,500 and a free plane ticket to return home. 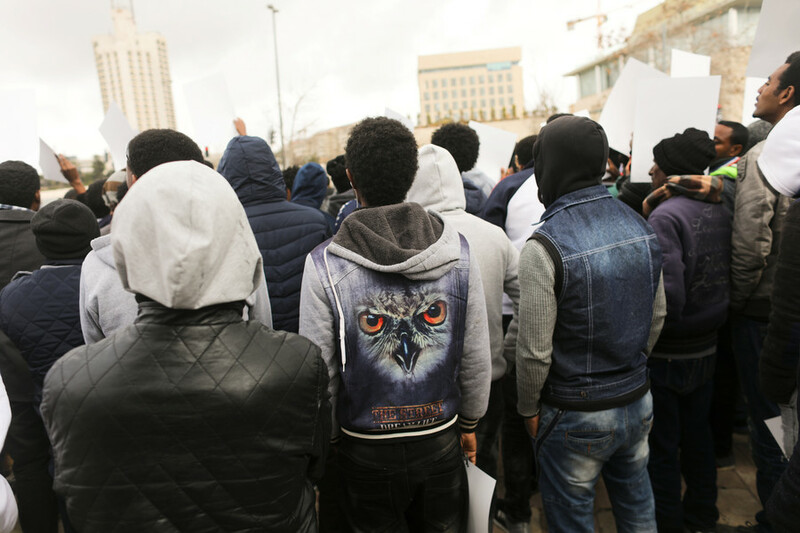 However, from April, the estimated 38,000 asylum seekers from Eritrea and Sudan still in the country will be given the extreme ultimatum of leaving the country or facing indefinite imprisonment. Israel’s Interior Ministry has not stated the countries to which migrants will be deported but speculation that it may be Rwanda prompted the government of Rwanda to declare it had signed no such deal with Israel. 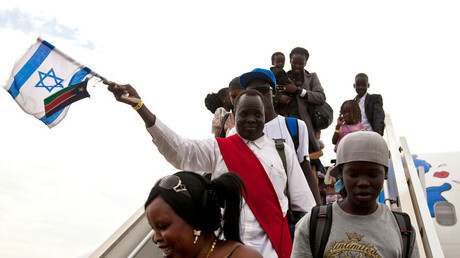 It noted, however, that it maintains an ‘open door’ policy towards Africans in need of refuge.